This Pat Bagley cartoon appears in The Salt Lake Tribune on Thursday, Aug. 9, 2018. 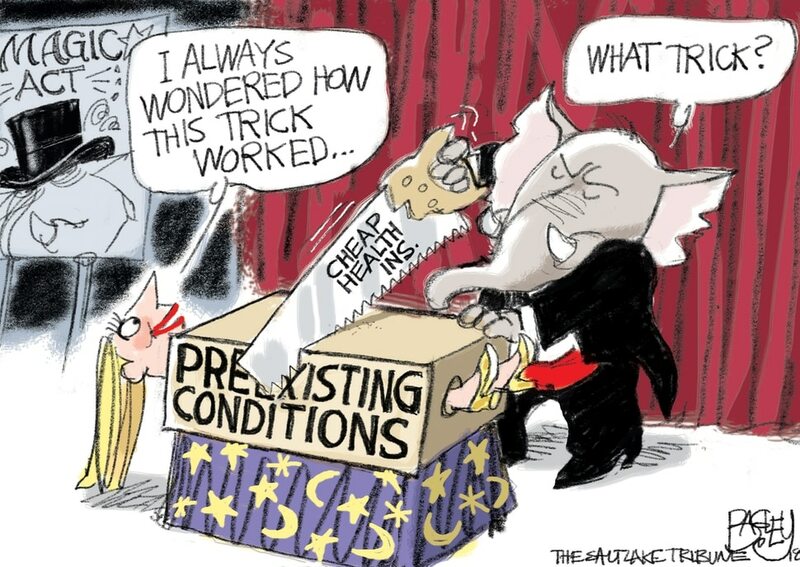 This Pat Bagley cartoon, Insurance Magic Trick, appears in The Salt Lake Tribune on Wednesday, Aug. 8, 2018. 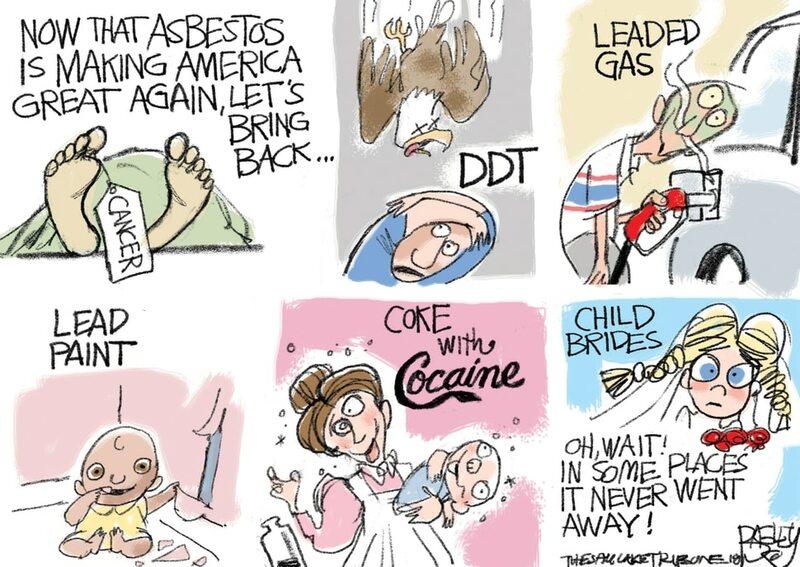 This Pat Bagley cartoon, titled “The Air We Breathe,” appears in The Salt Lake Tribune on Tuesday, Aug. 7, 2018. This Pat Bagley cartoon appears in The Salt Lake Tribune on Sunday, Aug. 5, 2018. This Pat Bagley cartoon appears in The Salt Lake Tribune on Friday, Aug. 3, 2018. This Pat Bagley cartoon appears in The Salt Lake Tribune on Thursday, Aug. 2, 2018. 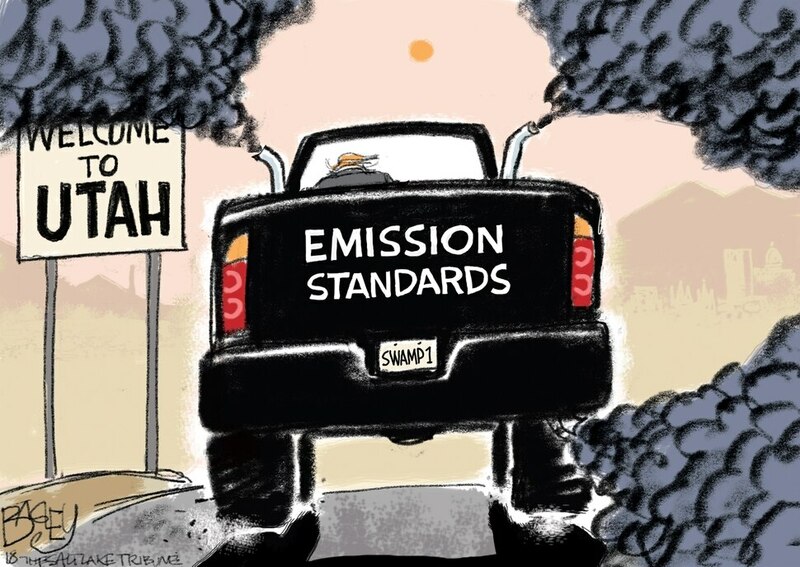 This Pat Bagley cartoon, titled “Smoke Gets in Your Eyes,” appears in The Salt Lake Tribune on Wednesday, Aug. 1, 2018. This Pat Bagley cartoon, Wilderness Trafficking, appears in The Salt Lake Tribune on Tuesday, July 31, 2018. This Pat Bagley cartoon Physics for Dummies appears in The Salt Lake Tribune on Sunday, July 29, 2018. This Pat Bagley cartoon, titled “2A Toting Tots” appears in The Salt Lake Tribune on Friday, July 27, 2018. This Pat Bagley cartoon appears in The Salt Lake Tribune on Thursday, July 26, 2018.